It has become clear that we need novel approaches to remove and mitigate environmental pollution by pharmaceuticals and personal care products. Residues of pharmaceuticals and personal care products released in the environment are a growing global concern since many of these compounds are very persistent. Recent studies have increased our awareness of the eco-toxicological effects of these so-called xenobiotics. Current waste-water treatment facilities are only able to remove a modest fraction of these compounds. Therefore, mitigation of pharmaceutical accumulation in the environment demands efforts along the whole lifecycle. 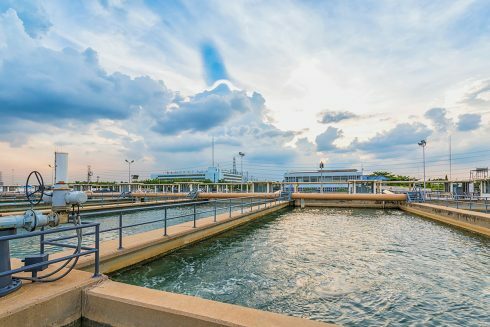 Some of the most commonly discussed mitigation measures are reduced consumption, different chemical structures with decreased stability, and improved degradation of compounds in water treatment facilities. This seminar will present the complexity of the issue and aims to discuss different solutions along the lifecycle, ranging from recent discoveries in research on waste water treatment to approaches for societal change. In addition to this, the seminar will feature case studies from two treatment projects aiming to reduce the persistence of pharmaceuticals in the waste water from Uppsala University Hospital. Please note that the seminar is held in English with the exception of one presentation which is in Swedish. Modelling of their persistence and novel options for removal. Genomgång av två reningsprojekt för att reducera läkemedelsrester. – Will advanced waste water treatment solve the global concern with environmental release and accumulation of pharmaceuticals? – What is needed to reach out with the methods? – Are these solutions enough? A modelling study on the persistence and environmental accumulation for the widely-used pharmaceutical carbamazepine will be presented, and the potential of activated carbon and ozonation for removal of pharmaceuticals was evaluated at a mobile container-based pilot plant at Swedish treatment facilities. Additionally, development of alternative future biotechnological approaches using filamentous fungi, coagulant plant proteins readily available in poorer countries, or melanised E. coli cells in a membrane-bioreactor system for start-of-pipe removal, will also be discussed.